I believe that the digging/trenching equipment was French (Creusot-Loire). I don't think it progressed much past the trials stage. The Germans and French trialed similar vehicles about 1967. It could dig a 180cm deep/60cm wide trench at a rate of 150-300m per hour, depending on terrain/soil type. Added by Roger Greenaway on 20 November 2011. The machine was in fact British and developed by the UK MEXE for the Army. It was based on a Thornycroft truck chasis. I worked briefly on the prototype. Added by Rob Petts on 23 April 2013.
they were last built by Scammel Motors at the old Tolpitts Lane factory at Watford in the 1970's. The company that I worked for assembled the front drive axle. Added by Richard Shields on 25 June 2013. Added by Mark Ellis on 07 January 2014. I did my LMD training course on Achmer training area near Osnabruck in 1980. I recollect that there were 2 LMDs in each Field Squadron (Royal Engineers) One of ours had no cab - so made for an interesting drive - especially as these vehicles were rather too fast for their brakes and suspension! Reverse pattern gearbox was also a challenge. But they could trench! Added by Paul Davies on 12 January 2014. Just seen this at Chatham Historic Shipyard. Added by Sarah newman on 15 April 2014. Does anyone definitely know which engine was used in the LMD please??? I operated one for several years but can't remember. Thank you Robby . Added by Robert Brown on 12 July 2014. Added by Paul Davies on 15 July 2014. Added by Paul wadman on 31 July 2016. As mentioned previously the LMD was developed at MERE Christchurch. The chassis was a modified Thorney Croft Nubian fire tender chassis with 'drop plates' half way along to lower the rear half to allow the swinging arms to be fitted. These carried the digging head which comprised a set of chains with removable teeth. The soil extracted was throw to either side as required by conveyors on the head. During digging the power to the head and wheels was through a complex transfer box which was fitted with hydraulic pumps and motors. Added by Old ROF on 03 March 2017. Forgot to add that after development by MEXE they were manufactured and assembled at the Royal Ordnance Factory at Nottingham. 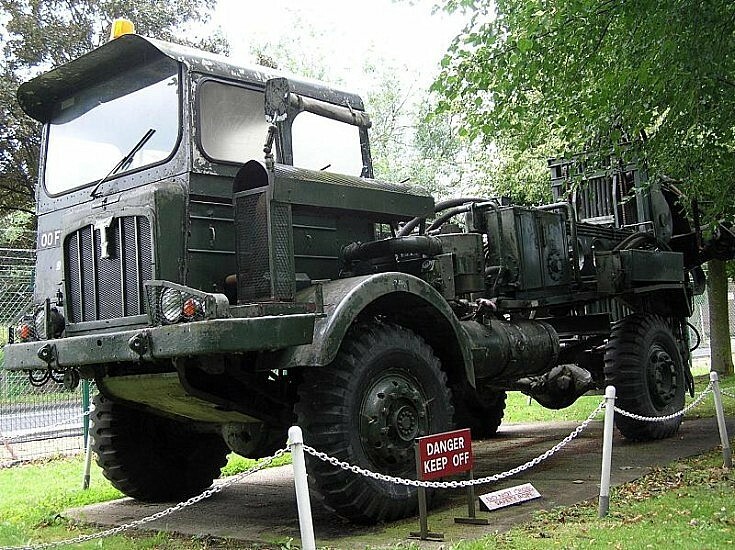 They also made the 'Eager Beaver' fork lift truck and the CET Combat Engineer Tractor there. Two of us did the initial trials in Germany in 1965 on this machine. Good times, poor brakes and tended to blow hydraulic pipes. Added by John Maxwell on 13 September 2018.